ASCENDER PLATFORM WITH NEXT-GEN MOUNTAIN BODY PANELS: The Ascender platform brings a whole new way to attack the mountain. Running boards are 1 in. 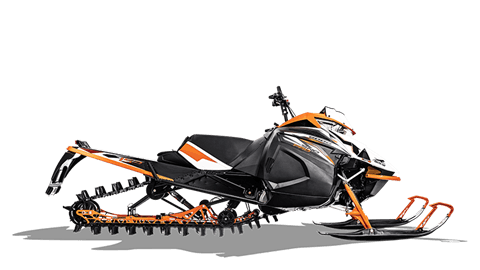 narrower than previous designs and the overall profile is 10% narrower for improved side-hill performance, improved venting and ease of laying the sled over in deep snow. The revised bellypan shape allows the rider’s feet to move 2 in. further forward for even greater ergonomic options for riding. The drive shaft dropped 1.125 in. allows for a 9.7º lowered approach angle providing more maneuverability and the ability to get up and stay up on the snow. 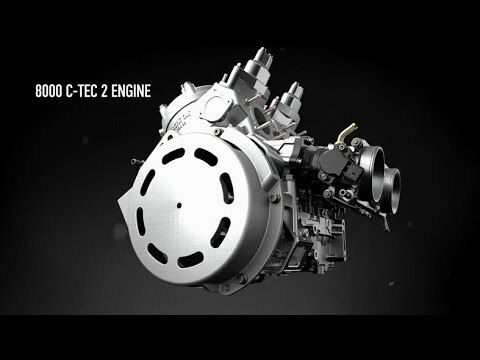 Improved fit and finish with easy on/off one-piece body panels allow easy access to the engine compartment and brings a distinctive Arctic Cat styling.